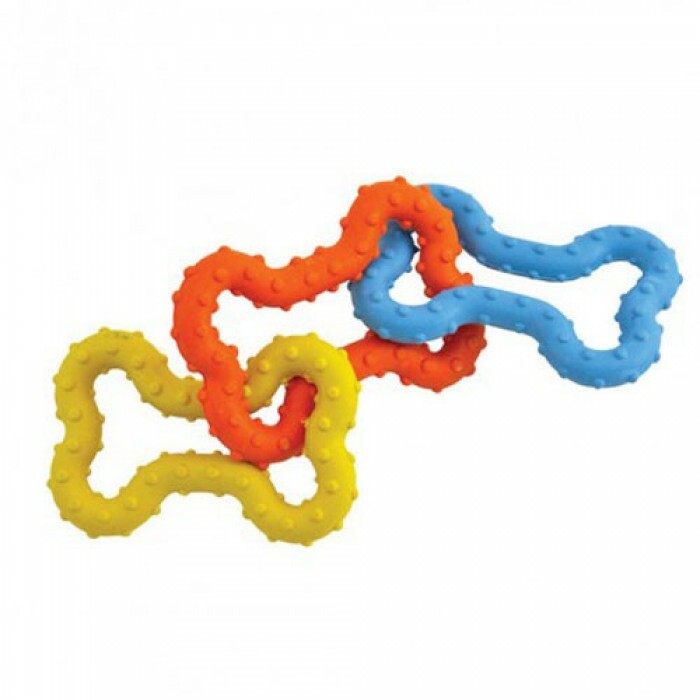 Product Details -Material-of non-toxic, durable rubber,Suitable - Small Breeds, Dimensions -15 cm , Quantity-1 ,Type- Interactive toy. Product Information - Mini Bone Tug by Petstages is the perfect tug toy for small breeds Three rubber bones link together to create a fun floppy toy. Made of non-toxic, durable rubber with nubs to help clean plaque and tartar off teeth.